* The world's earliest human settlement Catalhoyuk is in Turkey. * The home of the world's earliest civilization Anatolia - Asia Minor, is in Turkey. * Istanbul is the only city in the world that spans two continents, Europe and Asia. * The fourth largest cathedral in the world St. Sophia Cathedral is in Istanbul. * The rivers Tigris and Euphrates are born and cover the upper Mesopotamia region in Turkey. * Two of the Seven Wonders of the Ancient World are in Turkey. * The stone monuments on Mt. Nemrut (Named the Eighth Wonder by UNESCO) are in Turkey. * The mythological city of Troy is in Turkey. * The world's first beauty contest between Hera, Athena and Aphrodite was held on Mt. Ida near Troy. * Noah's Ark is believed to rest on Mt. Ararat in Turkey. * The father of history Heredotis was born in Turkey. * The ancient philosopher and historian Homer was born in ancient Smyrna (Izmir) in Turkey. * Famous philosophers, mathematicians, physicists such as Thales, Anaximender and Anaximenes were born in Turkey. * The world's first coin was minted by the Lydians in the 6th century BC at Sardis in Turkey. * The famous Royal Road started in Sardis. * Gordions knot was untied by the young Alexander the Great in Turkey. * Julius Caesar uttered his famous victory words "Veni, Vidi, Vici" in Amasia in the 1st century BC in Turkey. * Patara the birthplace of Santa Claus is in Turkey. * The mythical King Midas of the golden touch ruled in Turkey. * Beautiful Cleopatra and Mark Anthony had their romantic tryst in Turkey. * The largest library in the ancient world (2nd century BC) was at Pergamon in Turkey. * Ephesus the most complete ancient city in the world is in Turkey. * Virgin Mary and St. John the Evangelist spent the last years of their lives in Ephesus. * St. Paul was born in Tarsus and first preached in Perge both of which are in Turkey. * Cappadocia one of the Seven Wonders of the Natural World is in Turkey. The only city in the world that bridges two continents, Europe and Asia. It is the largest city in Turkey (population over 10 million). Istanbul is full of history, culture and beauty. The capital of Ottoman turkish rule until 1416 when the Ottomans took Istanbul. The city lies at the foot of the Uludag Mountains and is reknown for its beautiful architecture, therapeutic spring waters and as a winter sports resort. Dates bact to the early Bronze Age. Best known as the famous city of Helen and the horse of Trojans from Homer's Illiad. Seventy three kilometres south of Troy lies preserved one of the most important monuments of the ancient city, the Temple of Athena. This example dates from the 6th century BC. To the south of Troy are the ruins of the great city of Pergamon, a centre of learning and arts, where the ruins of one of the biggest libraries of antiquity is found. Nearby the Ascelpion, one of the most important medical centres of classical times dedicated to the god of health. The roman capital of Asia and a very important religious and trade center in ancient times. Only 2 % of the city has been excavated and it is still the largest ancient city ruins in the world. The Atemis Temple is found here, the most important shrine of Asia Minor and one of the Seven Wonders of the Ancient World. Virgin Mary spent her last days in a small house in Ephesus. Known as the "cotton castle" here calcereous hot springs falling tens of meters have created spectacular white terraces and basins. A magical site famous for its invigorating spa. In ancient times the birth place of Herodotus and the home of the Mausoleum one of the Seven Wonders of the Ancient World. Later the crusaders built a castle here which now houses the most famous underwater archeological museum in the world. Thought to be of Creteon origin the Lycians occupied here and defended the Mediterranean coast around 1400 BC They created a very big confederation including. Xantos, Olympos, Myra Pinara, Patara and Tlos. Here amongst very beautiful coastlines lay many sunken cities. Antalya is the main city on Turkey's Mediterranean coast. Considered to be the Turkish Riviera because of its spectacular location between the Taurus Mountains and the Mediterranean. The capital of ancient pamphilya. It was founded by Akhas who came down to the south around 2000 BC after the Trojans Wars. The best preserved roman theater of antiquity. It dates back to 2nd Centery AD and is still used for classical music concert and festivals. Cleopatra and Marc Antony's spot for a romantic tryst. A beautiful city designed in perfect harmony with its ancient and classical remains. Antioch had a population of half a million making it a primary center of Hellenic Civilization in its time. The first St Peter's Church is located here which sponsored St. Paul on his journeys and Christ's followers were first called Christians. Originally inhabited by the Babylonians, this region was the dwelling place of the patriarch Abraham before he migrated to Palestine. According to the bible this is where Abraham and Terah dwelled. In the city there are the remains of the oldest Islamic University and the famous bee hive dwellings. This mountaintop burial site was constructed by Antiochus I in the first century BC. Named by UNESCO as the 8th Wonder of the World. One of the worlds highest large lakes and the largest lake in Turkey. Famous for the impressive 18th century Ishak Pasa Palace. Nearby is the ancient Urartian reliefs and rock tombs from the 9th century BC. The largest city in eastern anatolia. It has been ruled by Arabs, Byzantines, Armenians and Seljuks and was also invaded by the Russians. Here lie some beautiful Seljuk remains. This eastern black sea port town was founded in the 7th century BC. Byzantines, Selcuks and Ottomans conquered her. Nearby carved high in the cliffs is the spectacular and remote Sumela Monastery. Ankara is the capital of the Turkish Republic. All the government institutions such as the ministries, the parliament and the state opera are concentrated here. The Museum of Anatolian Civilizations houses one of the world's finest collections of ancient artifacts. Was the home of the 13th century mystic poet Mevlana who founded the Order of Whirling Dervishes, a religion based on the virtues of goodness, charity, humanity, love and union with God. One of Turkey's most visited sites with its unique geological formations, rock carved churches decorated with fine frescoes from earliest christianity, and ancient underground cities. Christianity was first brought here by the Apostle Paul (born in Tarsus) and later in Byzantine times experienced a rapid development. Turkey's land mass is 714,815 sq km.with 97 % in Asia and 3 % in Europe. The Asian and European sides are divided by the Istanbul Bogazi (Bosphorus), the Sea of Marmara and the Canakkale Bogazi (Dardanelles). Turkey shares borders with Bulgaria, Greece, Iran, Iraq, Syria and Russia. Turkey is surrounded by three seas. The Mediterranean to the south, the Black Sea to the north and the Aegean to the west. Its coastline totals almost 8400 km. Turkey boasts a fascinating history. Almost 10,000 years. 7500 BC the earliest known inhabitants were found at Catalhoyuk. Hattis, Hittites, Phrygians, Urartians, Lycians, Lydians, Ionians, Persians, Macedonians, Romans, Byzantines, Seljuks and Ottomans have all held very important places in Turkish history. Turkey has 75 million inhabitants of whom 47% live in the countryside. The Major cities are Istanbul (Constantinople), Ankara (the Capital), Izmir (Smyrna), Adana, Bursa and Antalya (Atelia). Turkish is the national language, which is neither Indo-European nor Semitic but belongs to the Ural-Altaic group. Turkish is written with Roman characters. 99 % of the Turkish population is Muslim. However, Turkey is a secular state and all religions can practice their beliefs freely. The Turkish Republic is a democratic, pluralist and parliamentary system. Turkey belongs to NATO, OECD, THE COUNCIL OF EUROPE and is an Associate Member of the EEC. Turkey is one of the world's self-sufficient countries. The main crops are wheat, rice, cotton, tea, tobacco, hazelnuts and fruit. Sheep are the most important livestock. Industry is developing rapidly and directed mainly towards the processing of agricultural products, metallurgy, textiles and the manufacture of automobiles and agricultural machinery. The principal minerals extracted are coal, chrome (an important export), iron, copper, bauxite, marble and sulphur. GAP is a multi-purpose, integrated, development project comprising of dams, hydroelectric power plants and irrigation facilities to be built on the Fyrat (Euphrates) and Dicle (Tigris) rivers. It will affect agriculture, transportation, education, tourism, health and other sectors. Included in the project ATATURK DAM is ranked amongst the 10 largest in the world. 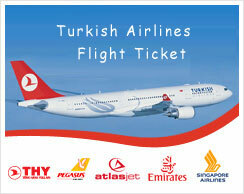 In recent years Turkey has become a major tourist attraction in Europe. With the development of both summer and winter resorts, more and more people from all over the world are enjoying the history, natural beauty and culture of Turkey.